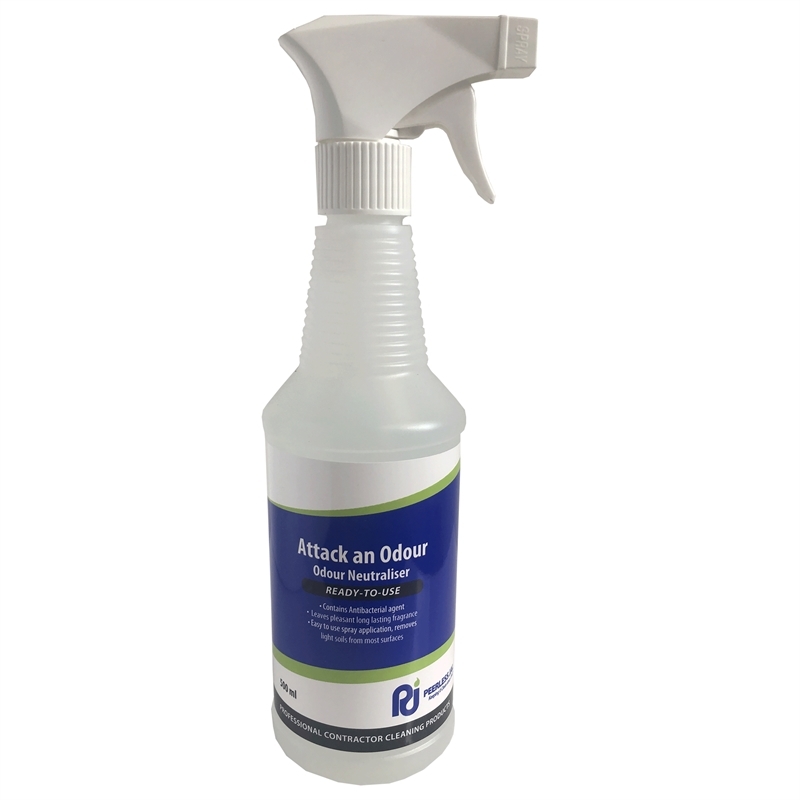 This ready to use odour neutraliser contains antibacterial agent and removes light soils from most surfaces. With an easy to use spray application, it leaves a pleasant, long lasting fragrance. To neutralize malodours from urine, sewage, body fat, garbage, and cooking. May also be sprayed onto curtains and carpets. May be used as a laundry soak (10ml per kg of dry weight laundry) or sprayed directly onto soiled linen prior washing. Stability over a wide range of applications.